Specifications: 403 sq. ft. interior main floor, 403 sq. ft. unfinished upper floor, total 806 sq. 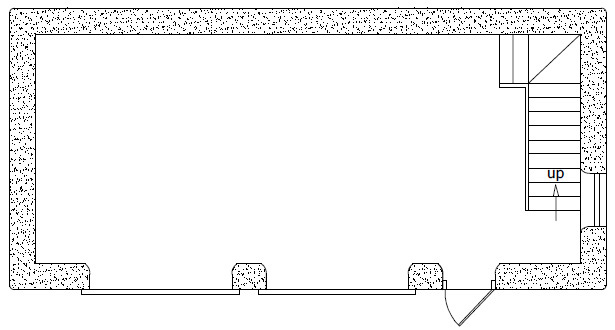 ft. interior, Footprint: 16′ x 34′. Description: This two car garage has space on the second floor for a garage apartment. The roof design can be altered at no extra charge. As shown, it’s part of my Earthbag Castle. 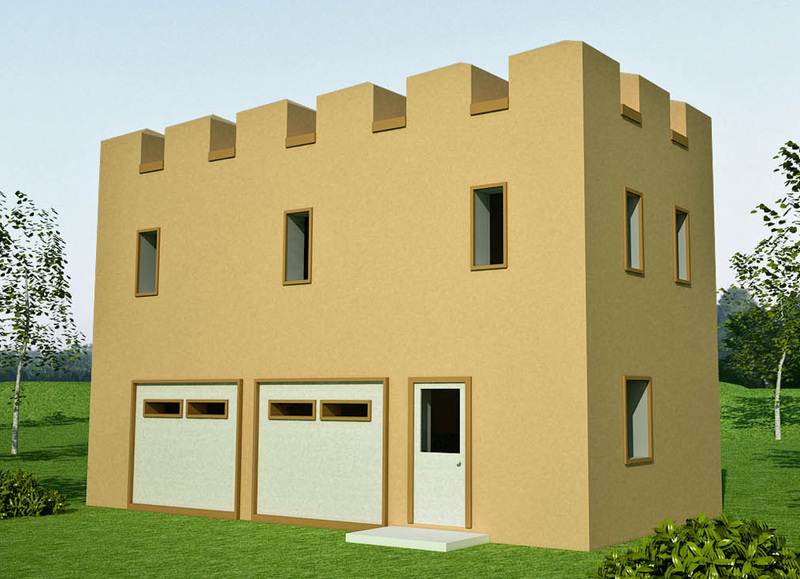 Description: The second floor of this versatile garage plan can be readily converted into an apartment. With some modifications, it could also make a nice home.